When it comes to the stock market, you can only get out once you put in some cash. 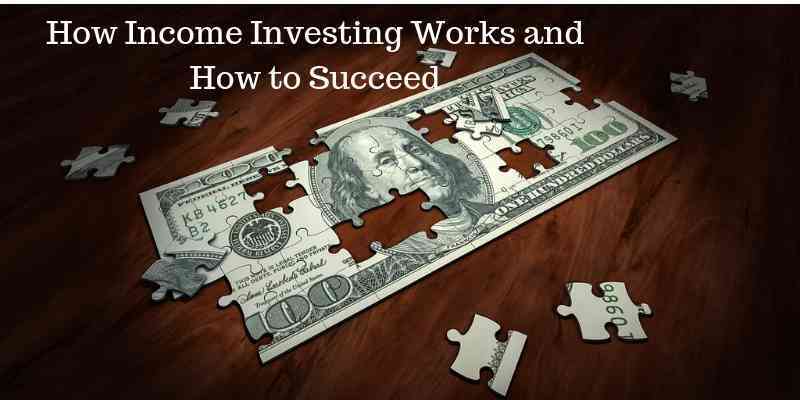 Learn about income investing in this guide. The percentage of investors in the U.S. had a small decline in the last few years. Only around 54 percent of adults are currently investing in the stock market. Though, there can be many benefits to investing if you’re willing to figure out a stock strategy. If you want to know more about income investing, keep reading. Learn the basics of picking stocks to increase your income with fewer risks. The simplest definition of income investment is any return that becomes personal income. A good example of this is the interest you accumulate through a savings account. Another example is capital gains, such as a gain from a real estate investment. It’s not unreasonable to want a little extra income to supplement what you make each month. Here are some stocks and passive income ideas to help get you started. Before you invest in stocks, you need a stock strategy. Diving in without advice or a plan is never a good idea and might result in quite a loss. One thing to look for when buying stocks is the value. Not only should you know the price the stock, but you need to know how much it’s worth. You should never put in more than you expect to see in returns. You need to look at the current value of a stock, but never underestimate the potential for growth. Of course, you want to start with something of great value, but what if they don’t grow? Investing in stocks with a pattern of growth can result in more income. The reason is that they have more to gain the longer they’re around. Now that you know some stock fundamentals, here are some great ways in which to invest. A great way to establish an income is to invest in stocks that pay a dividend. Some companies will pay a monthly dividend; look for these when buying stocks. Some of the top stocks to buy include Lockheed Martin Corps., Facebook Inc., and Amazon.com Inc. If you already have a good source of income, rental properties have a wealth of possibilities. Renting out properties can put a significant amount of monthly cash into your hand. Especially if the property is well managed. You also have the option of selling properties for income. Though, there are many variables to consider when selling for profit. Who’d have known you could make a solid passive income by lending money? Peer-to-peer lending is when you invest in someone else’s loans through an agency. As a result of investing in their loan, you get money back from the interest. When it comes to investing, income investing is the way to go. Who doesn’t want to earn a passive income on the side? Put money away for the future, and make yourself comfortable during the present. Do you have an extra 1,000 dollars sitting around? Read these nine ways to increase that money.